SIR CLIFF RICHARD, just after being knighted by The Queen. hears this he is impressed and fixes up their first single Schoolboy Crush/Move It which hits No.2 on the British charts. Cliff appeared on the Oh Boy Show. Jack Good, the shows producer, sees Cliff's s enormous potential and guides Cliff away from being just another carbon copy of Elvis. Cliff joins The Kalin Twins on their tour of England which causes him to form The Shadows. Annoyed at the effect Cliff has on their girlfriends, Cliff is pelted with eggs, tomatoes and bottles on the stage of London s Lyceum Ballroom. Cliff stars in his first movie, Serious Charge, in which he played the part of young delinquent Curly Thompson. 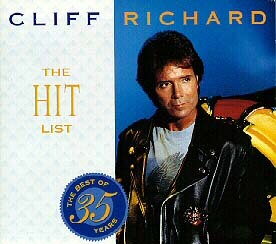 Cliff has two million selling No.1 hits, Living Doll and Travellin Light. These songs see Cliff broaden his career to a family entertainer. Cliff releases second movie, Expresso Bongo, in which he plays a young drummer tipped for stardom who is exploited by his unscrupulous manager, Johnny Jackson, played by Laurence Harvey. Cliff appears before the Queen Mother at a royal show in Manchester. Cliff makes his first tour of America. Heading the bill are Frankie Avalon, Bobby Rydell and Clyde McPhatter. Cliff appears on the Pat Boone show. As his first big record royalties come through, Cliff moves his family into a home in Winchmore Hill. He appears in his first Royal Variety Show before the Queen. Please Don t Tease goes to No.1 and in five years Cliff has sold an amazing 5.5 million singles and become EMI s highest selling artist. To celebrate he buys himself an expensive American car. This car was a red thunderbird with white top. Cliff appears in his first T.V. series for ATV and then embarks on his first big headlining international tour with The Shadows. At a cost of 10,000 pounds, an enormous sum in those days, Cliff buys out his own film contract so that he is free to do his own movies. This proves a wise investment. He films The Young Ones which is a runaway success becoming the second biggest box office hit of that year. When we talk about CLIFF, THE SHADOWS can never be forgotten. The single The Young Ones enters the charts at No.1 he also wins Variety Club's Showbiz Personality of the Year. Jet Harris Leaves The Shadows and is replaced by Brian 'Liquorice' Locking. Cliff begins filming Summer Holiday. Cliff visits Graceland, but Elvis is in California filming so they do not meet. Summer Holiday is another box office hit and the single hits No.1 on the British Charts. Cliff dates dancer Jackie Irving. Hearing himself being referred to as 'That Chubby Cliff Richard' on Coronation Street, he convinces himself he must watch his weight and has done so ever since. Cliff moves to a six bedroom mock-Tudor mansion in Upper Nazing, Essex. Cliff still remains popular despite the emergence of The Beatles and Merseysound. Cliff and The Shadows perform at The Olympia in Paris. With Una Stubbs they all appear at the London Palladium in Aladdin. The show is an enormous success and runs for fourteen weeks. Cliff sells his private companies for a sum that is said to make him a millionaire. He notches up his eighth No.1 single with The Minute Your Gone. Cliff says he likes The Beatles but is not too keen on The Rolling Stones. Cliff and The Shadows begin their first season in cabaret at London's Talk of The Town. The cream of British pop flock to see him including Paul McCartney, Cilla Black, Cathy McGowan, Paul and Barry Ryan and Sid James. Cliff talks about quitting pop and becoming a teacher. At a Billy Graham rally at Earl's Court, Cliff declares his Christian faith to a packed audience. This is probably the major turning point in his life. Cliff wins the NME Poll winners award for Best British Male Vocalist. Ex girlfriend Jackie Irving marries Adam Faith while Cliff is holidaying in Portugal. TV viewers of The Cilla Black show vote Congratulations the song Cliff will sing at The Eurovision Song Contest. Cliff comes second to Spain's La La La. Cliff easily outstrips it in sales and Congratulations becomes the highest selling looser of the Eurovision Song Contest Ever! False rumours sweep the country that Cliff has died in a car crash. Throughout the year Cliff performs in Britain, Japan, Holland Germany and Romania. He also appears on behalf of charities such as Aid for Biafra. Cliff still goes marching on, unlike The Beatles who are about to split. 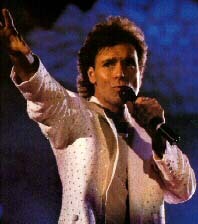 Cliff is voted Mr Valentine in the Disc&Music Echo Poll. He parties at 10 Downing Street with premier Harold Wilson and West German Chancellor Willy Brandt. Cliff grows a beard for play Five Finger Exercise. He releases landmark 50th single Goodbye Sam, Hello Samantha which enters the top ten. Cliff speaks out against the permissive society and is praised by Mary Whitehouse. His 54th single, Flying Machine, is his first not to make the top twenty. But his Palladium shows with Olivia Newton John all break box office recording a Song of Freedom is banned in South Africa. Through the year, Cliff gives performances in aid of several charities such as Tear Fund and the Arts Centre Group. He records a second successful TV series for the BBC with Olivia Newton John. In autumn, Cliff makes a massive 60 day tour the UK It is his biggest yet. Cliff is a guest on the BBC2 series They Sold a Million. In Australia he does a tour in aid of Christian revivalism Help, Hope and hallelujah. Begins filming Take Me High. With Johnny Cash and Billy Graham, Cliff appears at Wembley in a Spiritual Re-Emphasis concert. Cliff attends a meeting of the International Cliff Richard Movement at a church in North London. He does free concerts for the Crusaders, a young Christian group with which he is closely associated. The Shadows and Cliff reunite to do a series of shows at palladium in honor of Colin Chapman, the late producer of Top of the Pops. Cliff has little chart success with singles 'It's Only Me You've Left Behind' and an old country song 'Honky Tonk Angel'. Honky Tonk Angel causes a storm because, unbeknown to Cliff, it is about prostitutes. He appears at the Way to Life rally at The Empire Pool, Wembley. Miss You Nights and Devil Woman bring Cliff back to the charts. 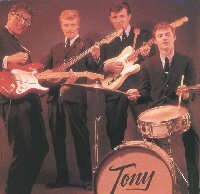 'I'm Nearly Famous' becomes a hit and celebrities such as Eric Clapton, Elton John and Elizabeth Taylor appear sporting badges of this album. Devil Woman becomes Cliff's biggest hit in the US climbing to No.6 and selling over one million copies. Cliff does a tour of Russia performing to 91,000 fans. Cliff meets Mother Teresa in Calcutta. Cliff tells the Sunday Times he has been celibate for twenty years. As part of the Queen's Silver Jubilee celebrations the record industry gives Cliff a Britannia Award for Best British Male Artist. Album Every Face Tells a Story hits the charts. Cliff and The Shadows reunite to do a series of 20th Anniversary concerts at the London Palladium. Associated album hits No.5 on the charts. He sings at the 10th annual Tear Fund concert at the Albert Hall. Cliff is honored with a Variety Club lunch commemorating his 21 years in show business. We Don't Talk Anymore becomes Cliff's 10th No.1 single and climbs to No.7 on the US charts. It is his highest selling. He participates with many people in a torchlight procession through London's West End marking the Year of the Child. Cliff appears in a tribute to the late Norrie Paramor at Croydon's Fairfield Halls. Cliff wins the Nationwide/Daily Mirror/Radio One Award for Best Family Entertainer. Carrie charts in Britain and America. Young mum, Kim Kayne pays 1,400 pounds to have dinner with Cliff. The money was donated to Capital Radio's Help a London Child Campaign. 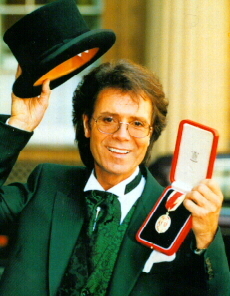 Cliff receives an OBE at Buckingham Palace. Una Stubbs presents Cliff with the Daily Mirror Readers' Award for Outstanding Musical Personality of the year. Makes a grueling seven week coast to coast tour of America. In Hollywood 40,00 pounds worth of equipment were stolen. The BBC show a four part review of Cliff's career. Cliff starts dating tennis star Sue Barker. Cliff begins a two month world tour to Thailand, Singapore, Hong Kong, Australia, LA and New York. Sees Sue Barker play at the traditional pre-Wimbledon Ladies Tennis Tournament in Eastbourne. After another US tour, he holidays in Bermuda. In the spring, Cliff does another tour to The Far East. Takes a gospel Tour across Europe. Stages his own Pro-am tennis tournament at the conference Centre, Brighton. Players are Hank Marvin, Trevor Eve, Mike Read, Sue Barker, Sue Mappin and Anne Hobbs. Releases a single with Janet Jackson called Two to the Power. 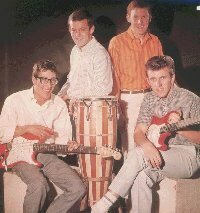 Cliff and The Shadows do concerts at the Empire Pool, Wembley and Birmingham's NEC. Organizes another tennis tournament in Brighton. Cliff appears on London Weekend TV's Aspel and Friends. Goes to a Downing Street reception hosted by Mrs Thatcher. Records 'Slow Rivers' with Elton John. Records Living Doll with stars of the cult TV series, The Young Ones, for comic relief. Wins the TV Times Best Male Singer Award. Stars in the smash hit futuristic musical Time at The Dominion Theatre. Living Doll hits the No.1 spot in the charts-27 years after it was last No.1! My Pretty One and Some People are both top ten hits and the album Always Guaranteed becomes his highest selling studio album of all time. Mistletoe and Wine is a No.1 hit and becomes the highest selling single of the year. Cliff starts a search for a star tennis scheme for youngsters in order to find a British Wimbledon Champion. Private Collection is No.1 and becomes his highest selling album of all time. Cliff celebrates his thirty years in show business with two sellout Wembley Stadium show performing to 144,000 people. Stars on Band Aid's hit Do They Know It's Christmas. Cliff tours Australia, New Zealand with the Stronger Tour. On June 30th Cliff took part in the UK's biggest open air rock show of 1990 at Knebworth in aid of the Nordoff-Ribbons Music Therapy charity. Album of the event is a huge seller climbing to No.3 on the charts. Celebrates his 50th birthday. Cliff devoted most of September and October to grueling rehearsals in preparation for a record-breaking UK/Irish tour. With audiences totaling some 420,000, Cliff became the only artist to have filled out the 12,000 capacity N.E.C. and Wembley Arena halls for 14 and 18 concerts respectively within a single tour. Cliff managed to get single Saviour's Day at No.1, video From A Distance at No.2 and album From A Distance at No.3 on the charts. After a brief holiday in Florida and a whirlwind promotional visit to Toronto (34 media interviews in two days) Cliff's main project of 1991 was a gospel charity tour. Toured Australia and New Zealand again. Released a Christmas album and single ,both of which went to No.10 on the charts. After a weeks skiing in Austria, Cliff launched The Cliff Richard Tennis Trail which is a scheme to introduce the game to youngsters who may otherwise never pick up a racquet. Toured Britain with the Access All Areas Tour before the album was even released! Single I Still Believe in you was No.6 at Christmas. Name of album Access All Areas was changed to Cliff Richard-The Album to avoid confusion with the tour. 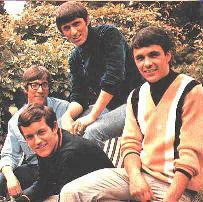 The Album entered charts at No.1 along with the video of the tour giving Cliff the No.1 spot on the video and album charts at the same time. Single Peace in Our Time reaches No.8 with Healing Love also reaching the top twenty. Plans musical of Wuthering Heights called Heathcliff which is put on hold and instead he releases an album of his top four hits called The Hist List. The album is the ninth highest selling album of the year in the UK selling over 300,000 copies, and he tours Britain in the last months of the year with the Hit List tour. He also releases the top twenty duet with Phil Everly, All I Have To Do Is Dream. The Hit List Tour takes Cliff through South East Asia, Australia, New Zealand and South Africa. Worldwide ticket sales for this tour exceeded half a million. After returning from his tour, Cliff takes part in the VE Day celebrations. Cliff is knighted Sir Cliff for his services to charity. Tops the bill at the Royal Variety Performance performing a 25 minute set. Releases singles Misunderstood Man and Had To Be (with Olivia Newton John) from the album Songs From Heathcliff which is awarded a gold disc for sales of over 100,000 copies in Great Britain. The single Misunderstood Man was banned by BBC's Radio 2 for being 'too raunchy'. Tickets for the long awaited Heathcliff show go on sale in March breaking all box office records. Songs From Heathcliff remains a high seller having sold over 200,000 copies at the time of writing in the UK. When rain interupts Wimbledon, Cliff is invited to sing for the crowd with female tennis players such as Virginia Wade and Martina Natratalova as backing singers. 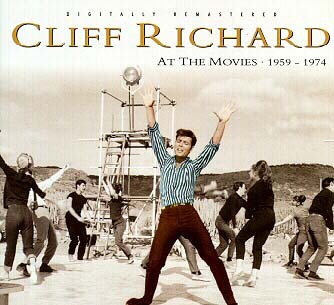 A double CD set featuring highlights of Cliff's movie career is released in August. OK Friends, test yourself and see whether you are a genuine Cliff Richard fan.